The saga began with ratification of the 18th Amendment, which banned the manufacture, sale, or transportation of alcoholic beverages in the United States. * High-minded crusaders and anti-alcohol organizations had helped push the amendment through in 1919, playing on fears of moral decay in a country just emerging from war. 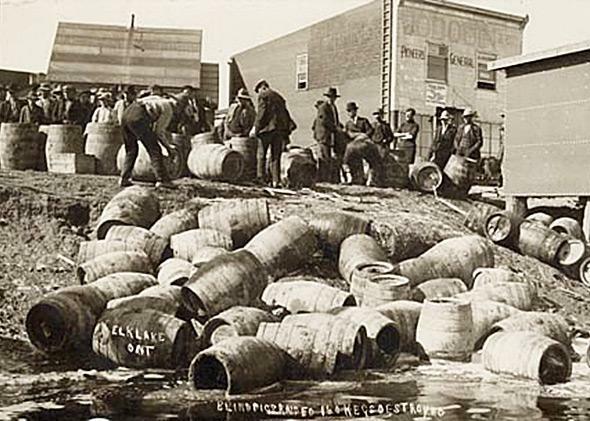 The Volstead Act, spelling out the rules for enforcement, passed shortly later, and Prohibition itself went into effect on Jan. 1, 1920.